Board-certified family physician Raye-Anne Ayo, MD, and the team at Family Health Center, PLLC provide comprehensive physical exams for everyone from newborns to mature adults. They’re committed to offering personalized attention and gentle care for your entire family at their office in Farragut, Tennessee. To schedule a checkup for an adult, adolescent, or newborn infant, call the office or book an appointment online today. Checkups are routine physical exams that monitor your health and help prevent diseases with early detection. Even if you feel perfectly healthy, regular checkups are essential to ensure you and your family remain on the path to good health. They also perform gynecological and well-woman exams, no-scalpel vasectomies, and early prenatal care/counseling. If you already have children, Dr. Ayo and her team are happy to provide ongoing care for the entire family. What kind of checkup does my child need? As a mother herself, Dr. Ayo understands the challenges of keeping a family happy and healthy. She offers honest medical advice and personalized care you can count on. What should I expect from an adult physical exam? Dr. Ayo and the team at Family Health Center are committed to improving your health at every stage of life to promote healthy aging. That means routine checkups to screen for health problems and enhance your overall wellness. Your provider may also take blood tests to screen for abnormalities that may indicate an underlying health problem. Women may also receive a gynecological exam, which may include a Pap test, pelvic exam, and breast cancer screening. Men may receive a testicular exam or prostate cancer screening. Dr. Ayo goes out of her way to advocate for the health of her patients. 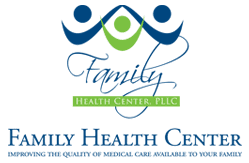 If you’re looking for comprehensive and gentle health care for the entire family, call Family Health Center, PLLC or book an appointment online today.